Malachi 3:8-10 Will man rob God? Yet you are robbing me. But you say, 'How have we robbed you?' In your tithes and contributions. You are cursed with a curse, for you are robbing me, the whole nation of you. Bring the full tithe into the storehouse, that there may be food in my house. And thereby put me to the test, says the Lord of hosts, if I will not open the windows of heaven for you and pour down for you a blessing until there is no more need. 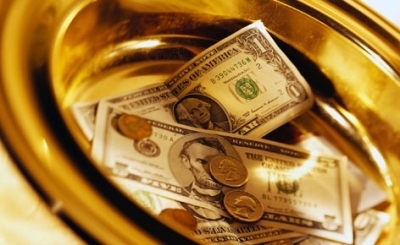 Ask Chuck: Should I Tithe on Gross or Net Income?